New to Market! Custom-built new construction, stone and shingle home in pristine condition situated on a private cul-de-sac. 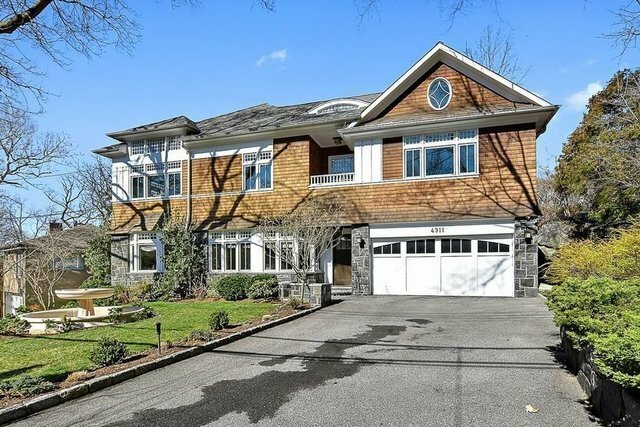 Located in Riverdale's exclusive Estate Area, this home is within close proximity to NYCs best private schools, Metro-North, and only a short commute to the heart of Manhattan. Built in 2010, this sun-flooded house provides generous space for all who are looking for a home that has it all. The main floor offers an extensive living room with fireplace, a large formal dining room, a spacious family room/home theater, and a huge eat-in kitchen equipped with top-of-the-line appliances. On this level there is also a full bath, a powder room, and a full two-car garage. The second floor features a total of five spacious bedrooms (including two master suites) and three baths. The lower level is a full house-length finished space with a central open casual living or play area, ample storage space, exercise room/nanny suite, and a full bath. Enclosed by 20 foot hedges for added privacy, the backyard is ideal for outdoor entertaining or relaxing. A gas-lined barbecue and outdoor dining area is situated on one of two bluestone patios. This is a commuters dream come true: only 20 minutes by car, subway or Metro-North to work or play in Manhattan. This first-time-to-market home is move-in-ready and meticulously maintained. Please call for an appointment.